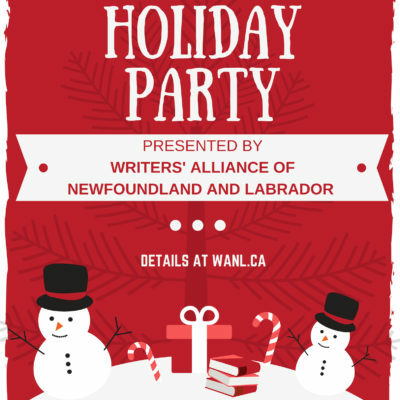 Members and friends of WANL are welcome to join us to jingle and mingle Tuesday December 11th at 7pm at the Ship Pub for our 2018 Holiday Party! The evening will have a book swap, 3-Minute Throwdown Readings, door prizes and more! The 3-Minute Throwdown Readings welcome members to give a 3-minute reading of any original, unpublished work open to all genres and types of writing. Each 3-Minute Throwdown participant will receive a gift pack and be entered into a prize draw*. 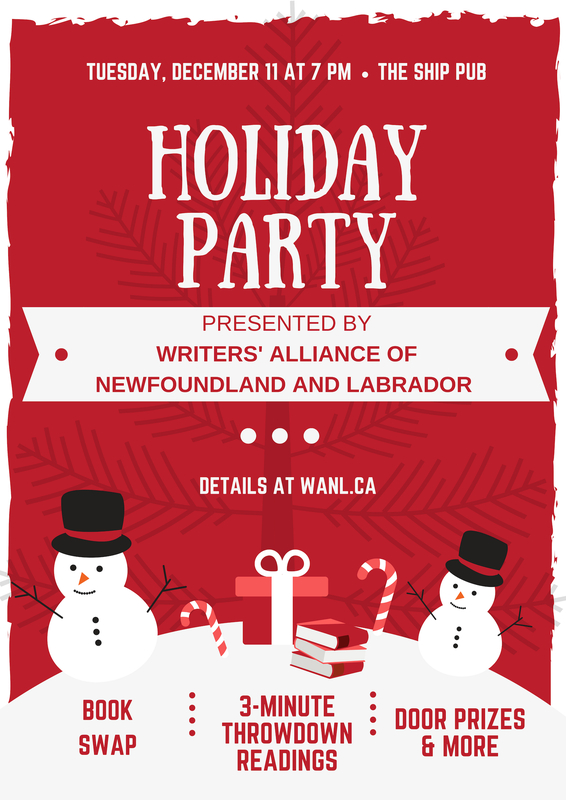 Pre-registration is required and space is limited so apply today to director@wanl.ca with your name and contact information. For our Book Swap you simply bring a book and take a book! Show up with a gift wrapped (preferably used) book of any genre that you really love, and that you are willing to part with. Newfoundland and Labrador books encouraged but not required! So let’s raise a glass to the coming New Year. Come toast the Holidays with friends and good cheer! *Prizes graciously donated by local publishers including Breakwater Books Ltd., Flanker Press, Pedlar Press, and Engen Books. Interested in donating prizes to the event? Please contact director@wanl.ca.